September 11th this year marks the 40th Anniversary of the military coup in Chile. The Coup ushered in a neo-liberal experiment which was supported by by right wing parties including the UK Conservative Party. 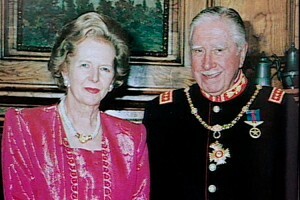 Thatcher became a key supporter of General Pinochet and allowed him to recieve hospital treatment in the UK – even when he was shunned by the rest of the world. In opposition Tony Blair described the UK Conservative Party as “the party of Pinochet”. The Chile 40 Years On Network has been set up to commemorate the 40th anniversary of the Chilean coup and Pinochet’s dictatorship. Thousands of working people were tortured and killed, trade unions were attacked, people disappeared at the hands of the authorities and the secret police. Men, women and children were rounded up by the military and taken from their homes. Most were never seen alive by their families again. 1 million people were forced into exile. The Chile 40 Years On network aims to link up and facilitate memorial events and initiatives to celebrate survival and life in different parts of the UK, so that there can be a critical mass of awareness of the significance of these events for Chile and the rest of the world – and we can remind people of the support given to Pinochet’s regime by the UK Conservative Party. This entry was posted in International Trade Unions, Labour Party, Media, Politics, Solidarity, Trade Unions, Trades Union Congress, Unite The Union, Workers Uniting. Bookmark the permalink.